"Fêtes of College Girls: With a Drawing by W.L. Taylor, and from Photographs Made Expressly for The Ladies Home Journal." Ladies' Home Journal June 1899: 3. Print. Bryn Mawr College Special Collections. “Fêtes of College Girls: With a Drawing by W.L. 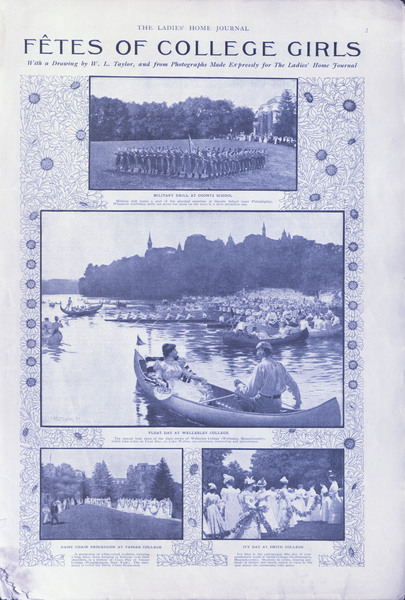 Taylor, and from Photographs Made Expressly for The Ladies Home Journal,” The Albert M. Greenfield Digital Center for the History of Women's Education, accessed April 22, 2019, http://greenfield.brynmawr.edu/items/show/2191.